Under a settlement with the Federal Trade Commission, Nice-Pak Products, Inc., a manufacturer of wet wipes, has agreed to stop advertising moist toilet tissue as flushable unless it can substantiate that the product is safe to flush. Similarly, Nice-Pak agreed to not claim that its moist toilet tissue is safe for sewer and septic tanks unless it has substantiation for those claims. In addition, Nice-Pak will stop providing trade customers, such as retailers, with information to make such unsubstantiated claims. Costco, CVS, Target, and BJ’s Wholesale Club were Nice-Pak customers that sold the formulation of the company’s moist toilet tissue that was the subject of the complaint under their own private labels. According to the FTC’s complaint, Nice-Pak violated the FTC Act by misrepresenting that a certain formulation of its wipes: 1) are safe for sewer systems; 2) are safe for septic systems; 3) break apart shortly after being flushed; and 4) are safe to flush. The FTC also alleges Nice-Pak provided the means and instrumentalities for retailers and others that marketed the product under their own label to make similar misrepresentations. The company’s tests did not reflect, real world household plumbing or septic conditions, the FTC alleged. 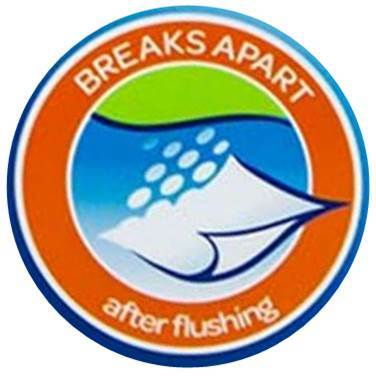 The proposed administrative consent order settling the FTC charges prohibits Nice-Pak from misrepresenting that any wipe is safe to flush, unless it can substantiate that the wipe will disperse in a “sufficiently short amount of time” after flushing to prevent clogging and/or damage to household plumbing, sewage lines, septic systems, and other standard wastewater treatment equipment. The test must also replicate the physical conditions of the environment where the wipes will be disposed. In addition, the proposed order prohibits Nice-Pak from making representations about the benefits, performance, or efficacy of moist toilet tissue, unless the statements are not misleading and the company relies on competent and reliable evidence, which in some instances must be competent and reliable scientific evidence, to support the claims made. The proposed order also prohibits Nice-Pak from providing the means and instrumentalities to anyone else to make the prohibited misrepresentations. The Commission vote issuing the complaint and approving the proposed consent order was 5-0. The FTC will publish a description of the consent agreement package in the Federal Register shortly. The agreement will be subject to public comment for 30 days, beginning today and continuing through June 19, 2015, after which the Commission will decide whether to make the proposed consent order final. Comments can be submitted electronically.